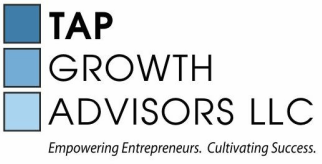 The Acceleration Project (TAP) is a nonprofit that leverages the untapped potential of professional women with stellar training, who have taken a work hiatus, to boost local economic development and keep small businesses vital. TAP's mission is to develop and channel underutilized professional talent to assist stuggling small businesses in need of strategic advice. Our work helps to keep these enterprises afloat and empowers women, who may not be able to commit to jobs at conventional workplaces for a time, to make a meaningful impact while advancing their skills. Watch our video to learn about The Acceleration Project (TAP).